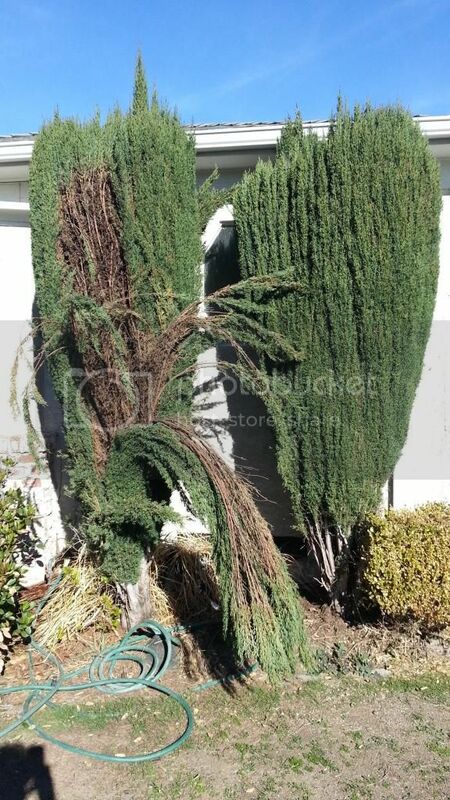 Hi ,I have a problem with a Cypress tree .It is in California climate ,after a recent storm and rains the branches started to droop quite badly. 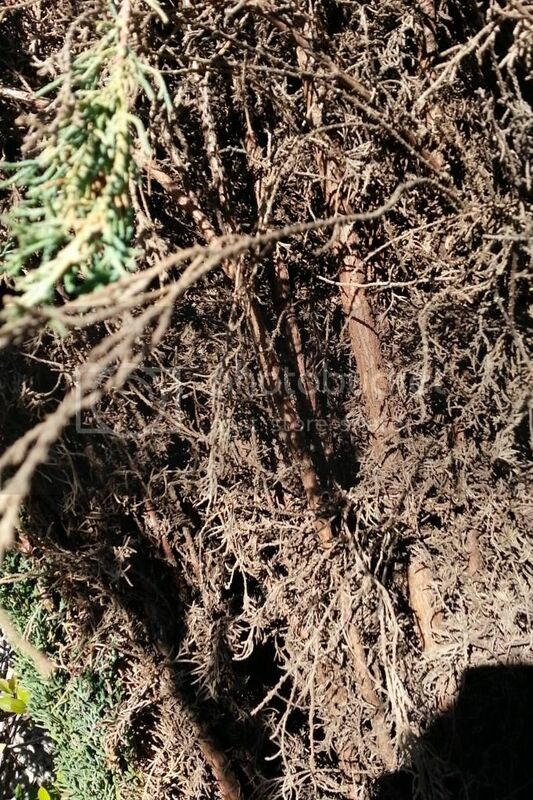 Also looking inside both trees are brown and dried up inside. it may have been over watered it is next to a hose faucet that was leaking at one time. If anyone has any advise on what is best to do i would greatly appreciate your help. I am not sure whether they are worth saving if they are rotten or dead inside. here are some pics ..any ideas ? 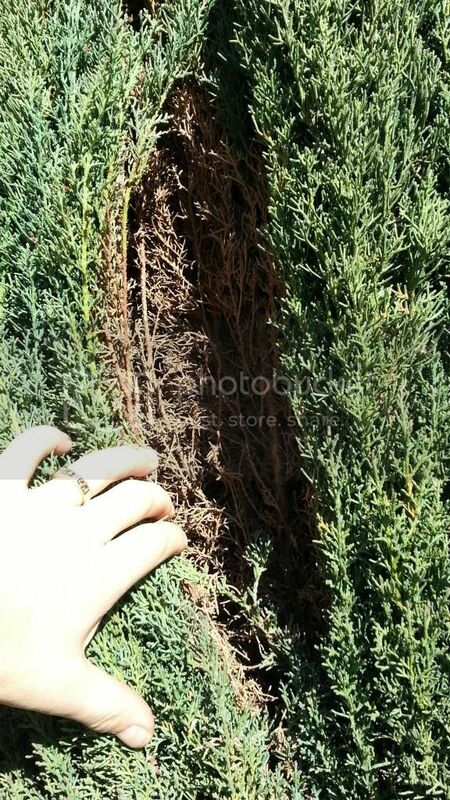 Is my Italian Cypress a Goner?